Peruvians went to the polls to cast their second round vote to elect the next Peruvian president. Voters waited anxiously for nearly a week as the votes were counted. On Friday, June 10th the final count revealed that Pedro Pablo Kuczynski (commonly known by his initials, PPK) had beaten Keiko Fujimori by just 0.248% of the vote (equating to a difference of only 42,597 votes). While the campaign focused on a host of issues, especially rising criminality in Lima and revitalizing the Peruvian economy after years of sluggish economic growth, Peru's continued counterinsurgency (COIN) efforts in the Valley of the Rivers Apur'mac, Ene, and Mantaro (VRAEM) received scant attention. Given that the Shining Path insurgency once seriously threatened to topple the Peruvian state and more recently, on the day before the first round vote perpetrated an attack that killed 10 (including eight soldiers and two civilians), it is important to understand what the next Peruvian government's approach to confronting the remaining insurgents in the VRAEM will be prior to PPK's inauguration on July 28th. On the one hand, he has demonstrated a nuanced understanding of this complex problem. The type of understanding necessary to finally eliminate an insurgency that has festered for 36 years. On the other hand, other domestic priorities are competing for the president-elect's attention and given PPK's limited electoral mandate and an opposition controlled congress, he will have to pick his battles careful. While the domestic political reality may limit the new administration's focus on the VRAEM, pressures from the U.S. government to pursue orthodox counter-narcotics policies, which are at odds with PPK's preferred approach to COIN, may result in the adoption of a less than optimal strategy. Prior to examining PPK's proposed strategy for the VRAEM and the likely obstacles his administration will face, a brief background on Peru's insurgent threat is necessary. The Shining Path (Sendero Luminoso) was a Maoist organization founded in 1970 by Abimael Guzmán at the National University of San Cristóbal of Huamanga in Ayacucho, Peru. In 1980, on the eve of Peru's return to democracy following over a decade of military rule, the Shining Path took up arms and began to expand inexorably. By the late 1980s, the insurgents had expanded from the remote southern highlands to almost the entirety of the country. It was estimated that the 25,000 insurgents, including 10,000 full-time combatants controlled over one quarter of all Peruvian municipalities. There was serious concern that the state was on the brink of falling to the Shining Path. However, on September 12th 1992, the tides turned. A raid, the culmination of painstaking intelligence work by a special police intelligence unit, captured Guzmán, his second in command, and six other members of the Central Committee of the Shining Path. It also recovered Guzmán's master files, which were replete w/detailed records on each insurgent cell. These records enabled security forces to capture or kill 90 percent of the organization's leadership by year's end. Unfortunately, remnants of the Shining Path were allowed to remain in the Upper Huallaga Valley (UHV) and the VRAEM. While the UHV faction has since been all but defeated, the VRAEM faction are bolstered by the immense proceeds from narcotrafficking and further benefit from their command of the area's extremely inhospitable terrain and support from impoverished farmers who's survival is dependent on coca cultivation (Koven and McClintock 2015). Past efforts by Peruvian security forces in the VRAEM have not been successful. Notably, past President Alan Garc'a's 'Plan VRAE' (the M was added subsequently), led to the death of more than 50 members of the Peruvian security forces without capturing or killing a single insurgent (ibid.). Following U.S. population-centric COIN doctrine, Peru must attack the root causes of the problem; the economic and political marginalization of the populace. To this end, PPK proposed the creation of the Economic Corporation of the VRAEM (corporación económica del VRAEM; CEV) in order to finance educational, transportation, technology and agricultural projects in the VRAEM, one of the poorest and most isolated parts of Peru. Recognizing that many inhabitants in the area feel they have been forgotten by the state, he further noted that his government would stop ignoring the VRAEM. While he has advocated a promising strategy, significant barriers exist and may preclude its efficacious implementation. First, PPK may have won the election, but he did so by an extremely small margin. His limited electoral mandate combined with opposition control of the congress will likely impinge upon his ability to implement controversial policies. Particularly consequential is the fact that Fujimori's party, Popular Force (Fuerza Popular), received 73 of the 130 seats in Peru's unicameral legislature. Indeed, the candidate receiving the most votes was Kenji Fujimori, Keiko Fujimori's brother. Not since 1995, has a single party obtained as many congressional seats. 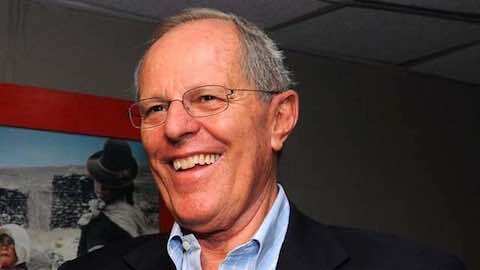 In contrast, PPK's party, Peruvians for Change (Peruanos por el Kambio), received only 18 seats. Given his minimal electoral mandate, it is likely that PPK will focus on issues such as delinquency in Lima and the Peruvian economy, which are of concern to Lima-based citizens; roughly a third of the entire population. Issues facing remote, rural areas such as the VRAEM, and especially those that are liable to foment social unrest, are likely to be relegated to the back burner. Additionally, while domestic political considerations may dictate that the VRAEM does not receive ample attention, foreign pressures could result in the adoption of a flawed COIN strategy. Specifically, the U.S. advocates orthodox counter-narcotics policies. The cornerstone of this approach is forced eradication. This policy is not only ineffective, it risks driving coca cultivators into the open arms of the Shining Path. As regards efficacy, the current Peruvian president, Ollanta Humala, has pursued a record-setting eradication campaign, nevertheless coca crops were simply replanted elsewhere and total yields increased almost every year despite these efforts (Koven and McClintock 2014). Beyond simply not working, this approach is at odds with population-centric COIN. By destroying the coca crops that are crucial to the survival of impoverished farmers, forced eradication campaigns leave the population little choice but to ally with the insurgents in the area. To Humala's credit, he heeded the advice of the Peruvian armed forces and suspended forced eradication in the VRAEM. However PPK has close relations with the U.S. government, which has often proven effective at influencing Peruvian counter-narcotics strategy. In short, only time will tell what approach to COIN in the VRAEM Peru's new government will employ. While PPK's preferred strategy is promising, domestic and foreign pressures may affect both how thoroughly it is carried out and whether it is altered in a manner that undermines its effectiveness. Koven, Barnett S. and Cynthia McClintock, "Cooperation and Drug Policies: Trends in Peru in the Twenty-First Century," in Cooperation and Drug Policies in the Americas: Trends in the Twenty-First Century, eds. Roberto Zepeda and Jonathan Rosen (Lanham, MD: Lexington Books, December 18, 2014). Koven, Barnett S. and Cynthia McClintock, "The Evolution of Peru's Shining Path and the New Security Priorities in the Hemisphere," in Reconceptualizing Security in the Twenty-First Century, eds. Bruce M. Bagley, Hanna Kassab, and Jonathan Rosen (Lanham, MD: Lexington Books, February 19, 2015). Latin America: "The Future of Peruvian Security"